In May 02007 author Steven Johnson spoke for Long Now about The Long Zoom, which is his take on how humans integrate perspectives at different scales for both pleasure and practical reasons. He explains this “zoom” in everything from computer games to ending the cholera epidemic in 19th century London. That last topic, the subject of his book The Ghost Map, serves as a leaping off point for this Seminar. Twice a month we highlight a Seminar About Long-term Thinking (SALT) from our archives. Long Now members can watch this video here. The audio is free for everyone on the Seminar page and via podcast. Long Now members can see all Seminar videos in HD. Video of the 12 most recent Seminars is also free for all to view. In his introduction Stewart Brand calls Johnson a polymath, and this talk is a truly polymathic display across disciplines, history, and literature. But it’s also easy to follow because much of it takes place in the realm of current pop culture: from the TV show Lost to the games SimCity and Spore. Even Johnson’s revisiting of London’s 01800’s brings with it insights into the history of infographics. The talk itself is a zoom and Johnson shows implicitly that integrating perspectives is useful, and pleasurable, to the way human minds work today. New research on gaming and the brain, the history of detective fiction, and the UI of World of Warcraft are all side trips on Johnson’s guided tour to how the Long Zoom, both as a practical tool and an entertainment principle, can lead to consilience. Johnson proposed that another word for the long zoom perspective is “consilience”— a fine old word, revived by Edward O. Wilson, that links multiple disciplines and multiple levels into a whole body of knowledge with extra benefits the separate disciplines lack. Science and culture can blend rigorously. What is discovered in consilience is not just scales of distance or time but nested systems. 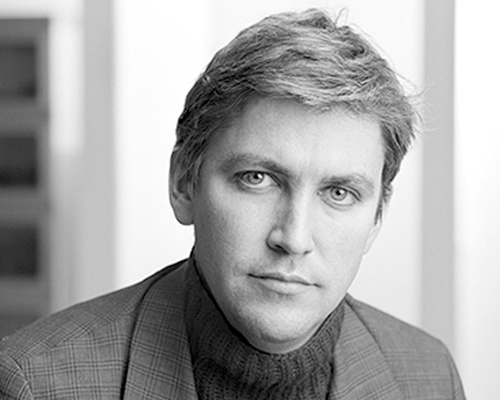 Steven Johnson is the author of eight books which cover topics in science, technology, history and popular culture including Emergence, Everything Bad Is Good for You and most recently Future Perfect. The Seminars About Long-term Thinking series began in 02003 and is presented each month live in San Francisco. The series is curated and hosted by Long Now’s President Stewart Brand. Seminar audio is available to all via podcast. Long Now members can watch the full video of this Seminar here—you must be logged in to the site. Membership levels start at $8/month and include lots of benefits. Join Long Now today.